Not Ready To Interact With A REALTOR®? Just Want To Know What Your Home Might Sell For Now? No problem and no obligation. 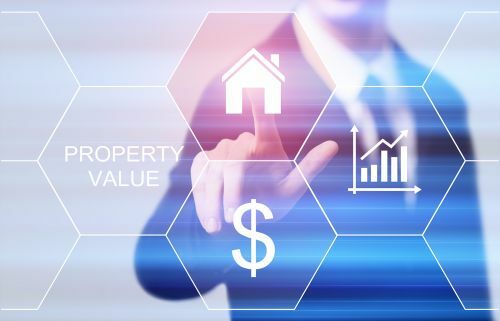 You can come back to this page as often as you want to track the value of your home. I understand that many homeowners just want to keep abreast of the changing real estate values. Sometimes you simply want to bask in your Return on Investment and congratulate yourself on your brilliance in making that purchase. 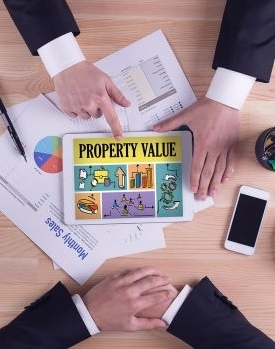 Auto-generated CMA's only put you "in the ballpark" of the true valuation of your property. There are many variables that can't be accounted for in a form such as this one. Here are some of the items that require an experienced REALTOR® to give you the true market value. Finishes that were current when you purchased may be out of date and out of favor, and negatively affect your home value. Upgrades done since your purchase may or may not be widely desired in the market. The ranking of local schools may have changed. The neighborhood may have deteriorated or become more valuable. Local employer changes may impact the value of your home. If you're fine with a "ballpark" figure, feel free to bookmark this page and keep coming back. If you're thinking seriously about selling, you'll probably want to contact me and we'll talk about your property and circumstances. Just want a Free Comparative Market Analysis (CMA)? That's fine. We just hope to give you so much valuable information that you'll think of us when it does come time to sell...and give us a chance to be your chosen realtor. Click the button below. You'll arrive at a landing page. All you have to do is put in the property address and click the search icon. That will bring you to a page where you put in your email address (so we can send you the report), and relevant information like square footage and number of bedrooms and bathrooms (you don't have to provide it, but you'll get more accurate results if you do). Then click that button and within a very short time (probably less than a minute), you'll get your report. What Do You Receive? What's The Report Like? A map showing your property relative to others in the neighborhood. An overview of what a CMA (Comparative Market Analysis) is. A Map of All Comparable Listings, along with a list of the MLS numbers, Status of the listing, Addresses of the listing, and prices of the listings. Some of the listings have sold in the last 6 months to a year so these are real sold prices. This gives you an idea of the value of your property. Comparable Property Statistics: This shows Expired Listings (they did not sell), sold listings, and pending listings (they are in contract to be sold but have not yet closed). This will show you the List Price and the Sold Price. This will give you an idea of what is realistic (most of us believe our homes are worth more than the market believes). Sold Property Analysis which shows you the List Price and Sold Price, Percent of List Price that the property sold for (some selling for less and others for more than the list price), Days On Market (DOM), and The $ per Sq. Ft. calculation for comparable properties. Summary of Comparable Properties which provides informatin such as Beds/Baths, Year Built, Sq. Ft., Price and Sold Date. You can use this information to get a better picture of what your home might be worth. Property Details which provides a summary of the comparable properties and a couple of photos of each. All you have to do is click the button below and learn the facts about sales of properties comparable to yours—FREE, no obligation and no unwanted sales calls!